Among the many new games that are available for Windows Phone 7 since the platform launched in late 2010 is a vast selection of puzzle games. Within this category of games there are many word games, fun little apps that challenge you to make and find words. This type of game is a great way to kill time while waiting in a queue or even when you’re in the train, and as the options for such games increase on Windows Phone 7 it is only a matter of time before an official release of something like Scrabble or Boggle comes along. In the meantime, however, these great games are available on the Windows Phone 7 and Zune Marketplace! This popular free app for Windows Phone 7 presents you with a selection of letters from which words must be made. Playing against the clock, you need to complete all possibilities, all the while looking for an elusive six-letter word to proceed to the next level. If you get stuck, the “scramble” button is there to help you out and mix up the letters. This Windows Phone 7 word game will let you save your progress and features a good dictionary of words, and is a great choice for anyone with a few minutes to spare for a bit of a brain teaser. 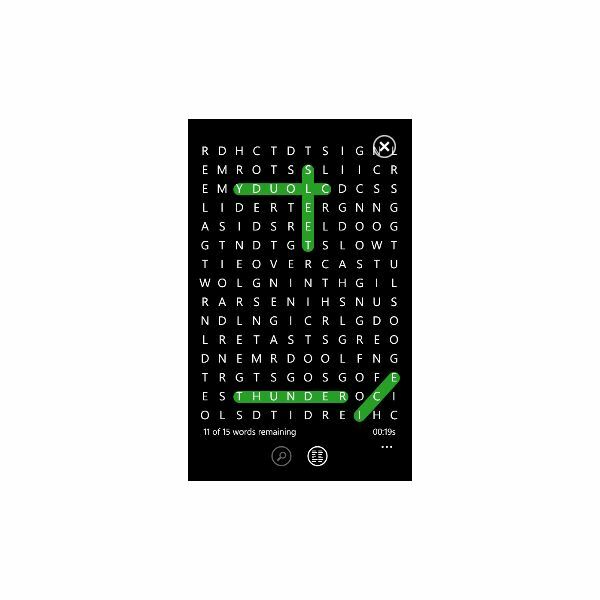 If word searches are your thing, then don’t miss Wordz, a sensibly-priced word search app that is easy to use and takes advantage of the Windows Phone 7 user interface to deliver an increasing selection of word search puzzles to your device. Playing is easy – all you need to do is drag your finger across the letters that comprise the word you are looking for! £1.99 isn’t a bad price for a puzzle app on the Marketplace, and this Windows Phone 7 word game also has a trial version for you to appraise before a full purchase is made. 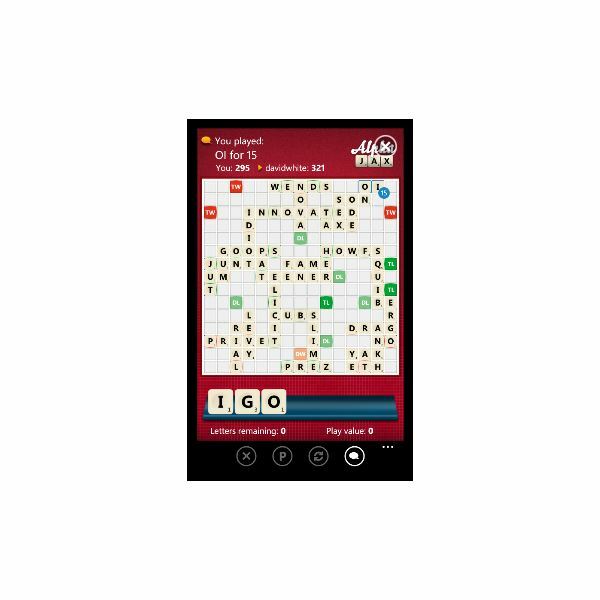 Looking for all the world like a Windows Phone 7 version of Scrabble, this word game is stylishly presented and features online gaming with other AlphaJax players, something that is reflected in the £2.49 price tag (a three-game trial mode is available). AlphaJax will allow you to tweet or post on Facebook for competitors, and you can play an amazing 20 games at once, with the app also notifying you of chat messages when they are received. Gameplay makes use of a Scrabble-style board with lettered tiles all assigned their own score, and you don’t even have to go to your desktop PC to register for AlphaJax – you can quickly sign up via the app!